Main - Clean. clock widget & battery circle widget. Left - Okay. Feedly widget, Google Keep/Tasks. Right - Ugly. Media widgets and some app folders. What do you do? I know I'm not alone here... Do you forgo media widgets and just open the apps up whenever needed? 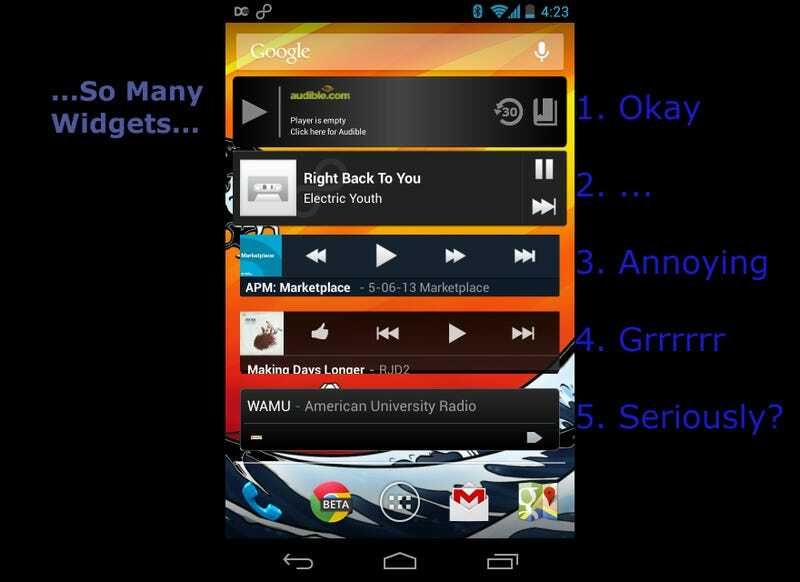 Have a relegated "ugly screen" with a bunch of widgets? Something awesome with Tasker?